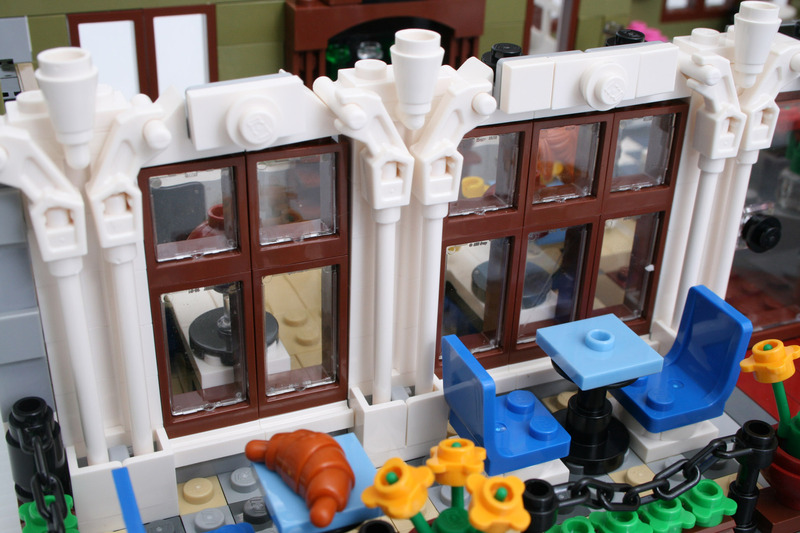 The LEGO team sent me an early LEGO 10243 Parisian Restaurant to review. 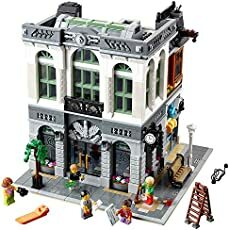 I'll say it upfront - I'm usually a Technic guy, but maybe that's just because I haven't found the right non-Technic set yet :) This is my first Modular Buildings set (other than the Mini Modulars which I don't think count!) so let's see how it went! 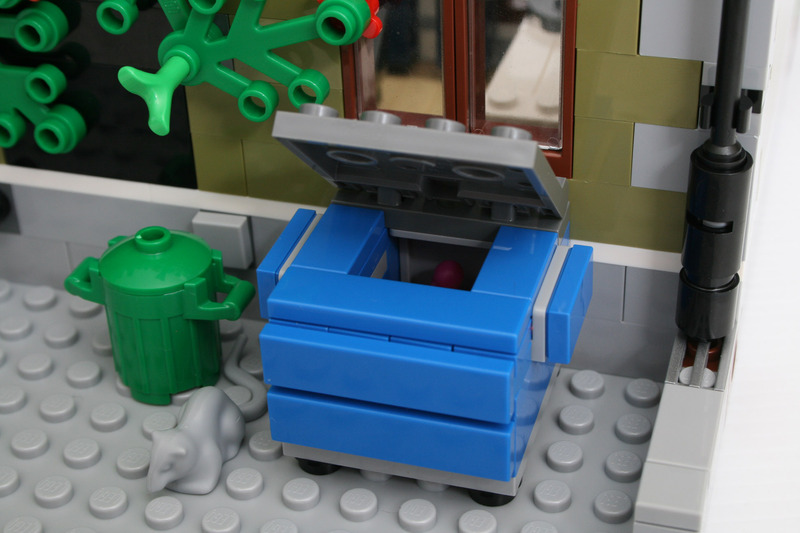 You can see my Bricksafe page for the full set of photos. 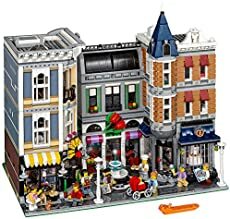 In total there are 2469 parts, making this a huge set and the second largest Modular Building behind the 10224 Town Hall. 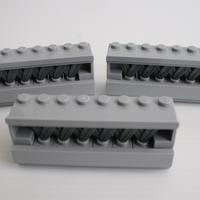 There seem to be five new part designs making their first appearance in this set. 15396 Scooter - A nice looking scooter which is hardly required for this set. So, I assume it was created for some other reason and simply added to this set later. 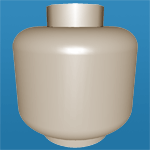 15395 Dome 2 x 2, Inverted with one stud - This part is quite versatile and is used as both a flower pot and as a lamp shade when combined with the new 15535 tile described below. 15535 Tile 2 x 2 Round with Hole - A 2 x 2 tile with a hole for a stud in the center. 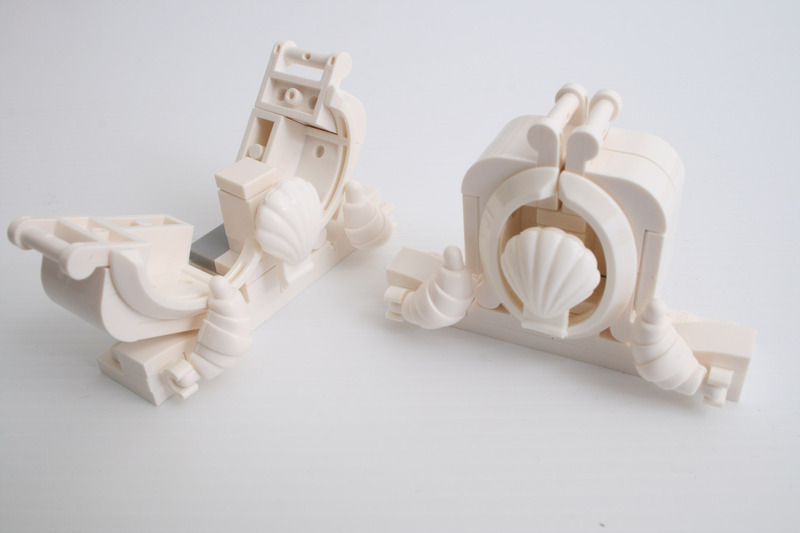 Used in this set to stack the dishes in the kitchen, and form the base of the two lamps in the dining area. 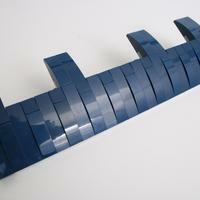 15068 Slope Curved 2 x 2 x 2/3 - Coming in Tan (x1) and Dark Blue (x6), this new Bow part will still be pretty rare for a while. 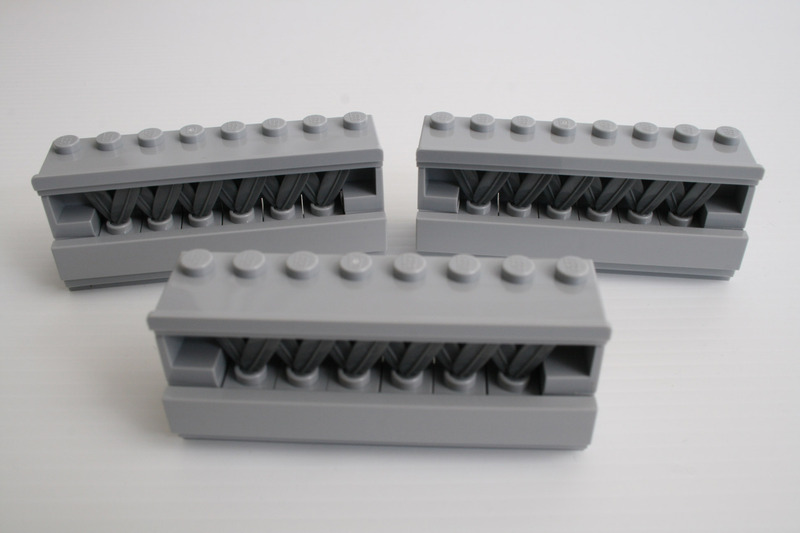 15332 Fence Spindled 1 x 4 x 2 [4 Top Studs] - This is just a slight variation on the 30055 part with 4 studs on top instead of 2. They are not put to any functional use in this set as they are all covered with black tiles, and interestingly the building instructions actually show the 2-studded version. So I wonder what prompted the mold change here, perhaps it's used more heavily in a different 2014 set and was a late change for this one. 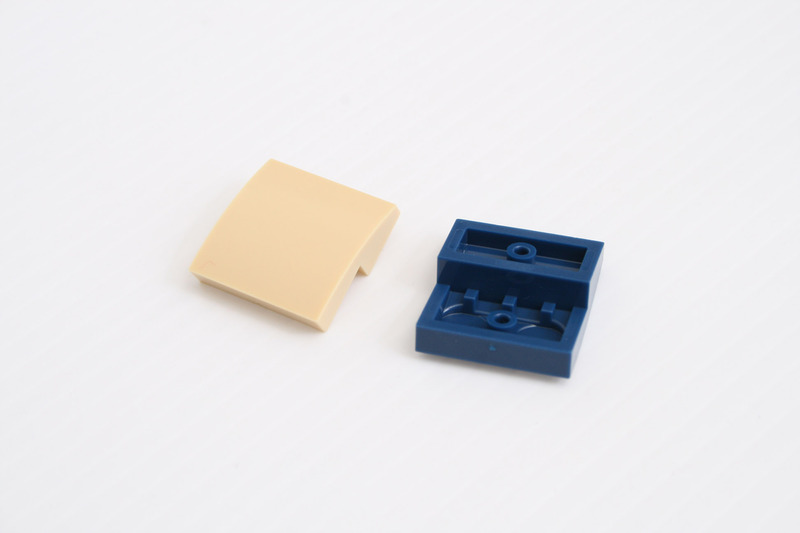 There are also some parts appearing for the first time in new colors. Check out the full inventory here. 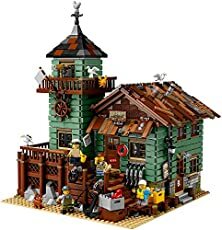 This is my first Modular Building set and even though I was expecting it, the number of tiny parts in this set surprised me. There are 86 spare parts which are all tiny thingies so that should give you a feel for how many of the real parts were tiny too. 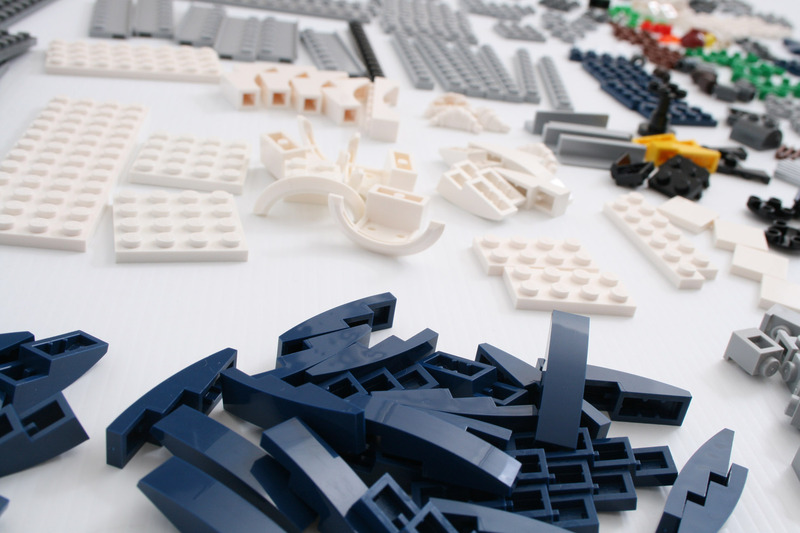 It took me an entire day to sort and inventory the parts, build the set, take a bajillion photos, etc. I had always thought these buildings looked quite repetitious in their build, and maybe some of the previous ones were. The 10243 is definitely not. Throughout the entire build, I was constantly amazed at the attention to detail the designers have put into everything. Just when I thought a floor was just about done (it had walls and doors after all), they would add all sorts of flourishes which made it 100x better without going overboard. There are so many features to this set, and looking through the photos will only give you a small sense of them. 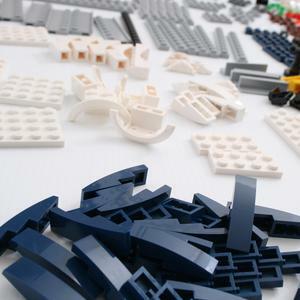 The techniques used in the build are more advanced than the usual Creator models for younger kids. 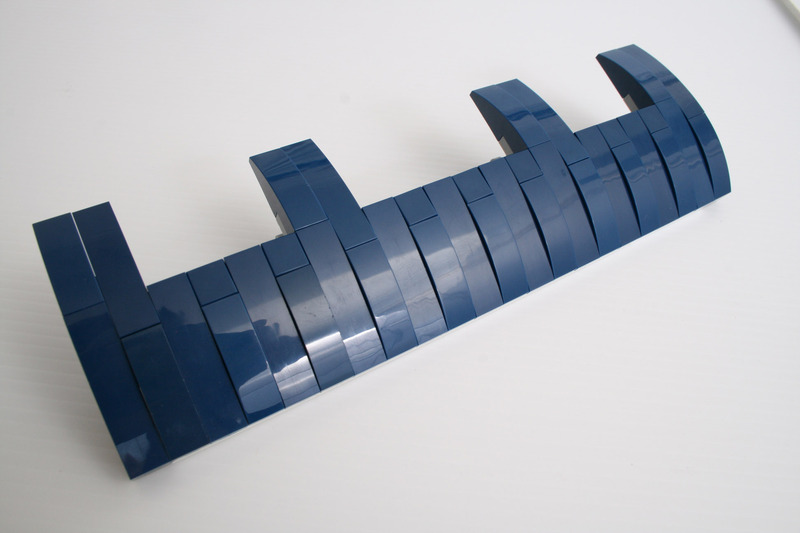 There is a tonne of half-stud joins, sideways building, and in general some very creative uses of everyday parts. I think about half the total build time went into the ground floor, as it's obviously much bigger than the other two. 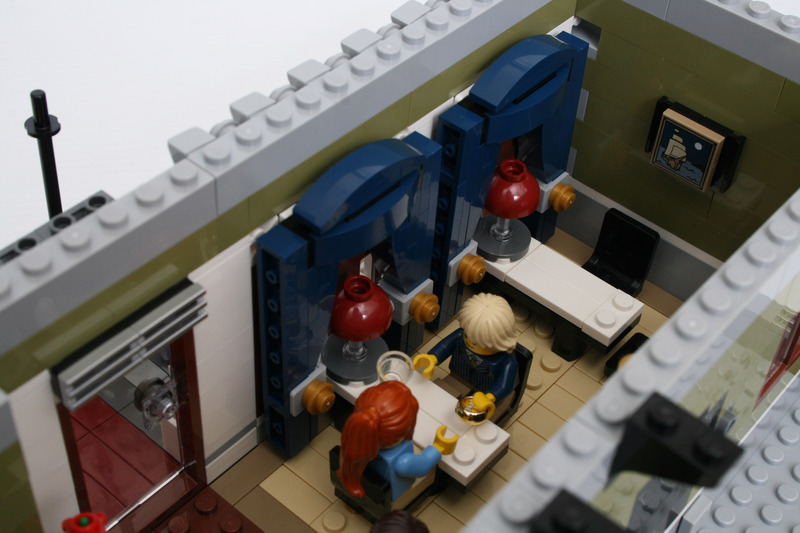 My favourite part of the whole set has got to be the kitchen. I didn't get a good photo during the build, but I love the fridge. For a while I didn't know what it was and my son completed that section while I wasn't watching! I felt annoyed and almost ripped it all out to do it again myself, which gives you an idea how much fun this build is! 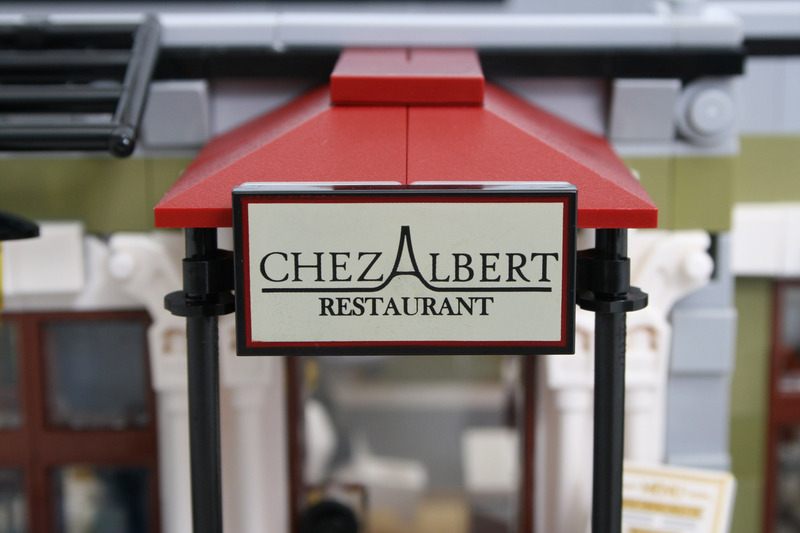 You can see in the build photos, the word CHEZ spelt out with small parts on the floor. This then gets covered up by tables and chairs and can't even be identified as a word anymore, but you know it's there. Other highlights include the drinks cabinet, the arches framing the windows, the drapes which can't even be seen from the outside, and even the dumpster at the back. There are actually two sections to this floor - an upper deck for restaurant guests, and the inside living area for the owner of the Restaurant. Each is separately detachable from the ground floor. The outside area has a couple of the hanging flower pots using the new inverted dome part. It joins the front staircase to the back staircase that leads up to the top floor, in a nice seamless way using the new fence parts. The top of the building is adorned with some amazing details and are the highlight of this floor. There are three main features that draw your attention here. The use of the dark bluish gray feathers to make a crisscross pattern is interesting and works well. 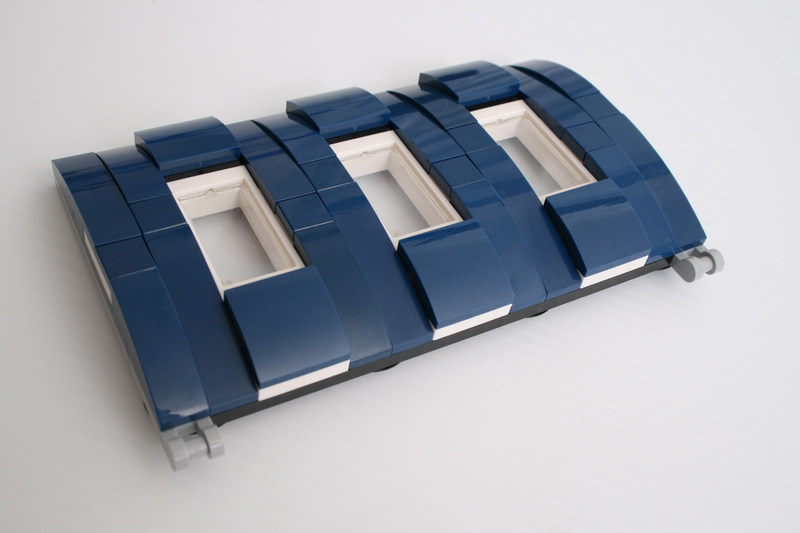 The dark blue curved bow bricks that are slightly offset show off some nice shadows, and the back section can fold down to reveal the insides. The dark blue also really helps to show off the bright white clam and croissant combination which is rather unique! There are so many little details in this set to impress you. 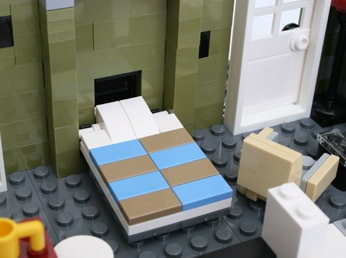 A final example - even though the main floor is tiled, there are single studs left here and there to allow the minifigs to stand easily. 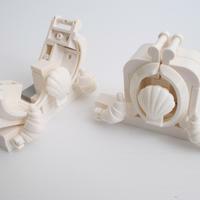 It was a pure joy to build and discover all these details in the process. This set is scheduled for release 1st January. 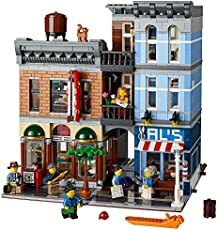 I'm sure any Modular Building fans will get it without question, but even if you're new to the theme I can highly recommend getting this set. Can someone please, please tell me how to build the dumpster that comes with this? I can't figure it out quite right from the pictures. Thanks! Thanks! I just can't seem to figure it out from any of the promo pictures. Please look at my step by step pictures here. Sorry my instruction was written in chinese, but i think the pictures tell everything. Hope this is helpful. I'm sorry. I don't see any step by step pics of the dumpster. I can't figure it out from the finished piece, not from those angles at least. 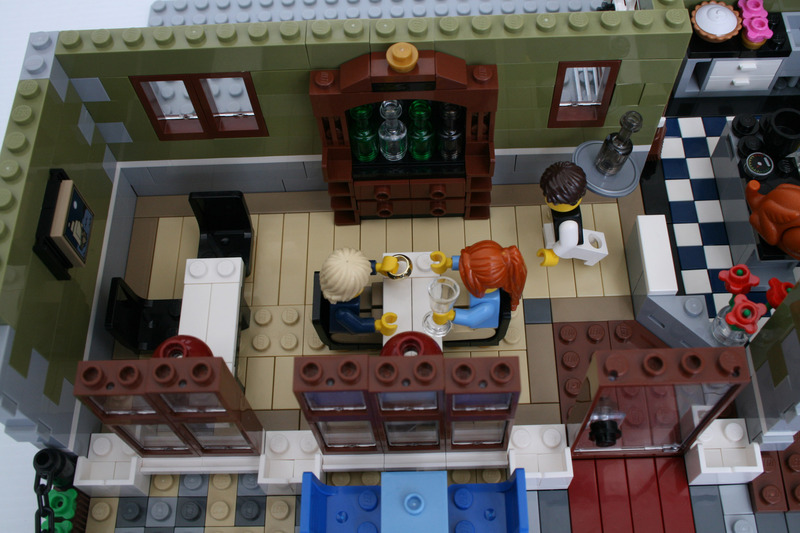 This set almost looks too good to be a Lego produced set. Tru dat, they're really upping their game. Very well crafted and thorough review on this "little" gem. Big kudos. 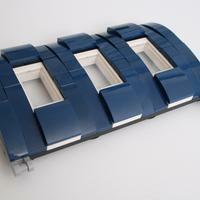 Fantastic review on a great looking set, thanks! I have built this set 3 weeks ago using my own parts, before the official set available. So I have no any instruction when building it. 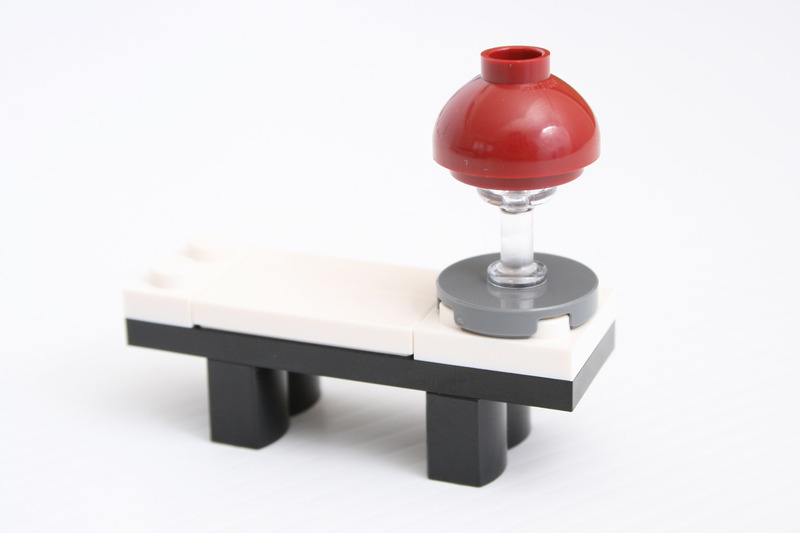 The only available reference for me were the few pictures LEGO announced earlier. Welcome to take a look on my post, in 3 webpages. My comments were written in Chinese, but the pictures illustrated detailed steps how I built it. Cool! And it still looks great with the minor substitutions you've made. Wow, amazing you could do all that from the promotional photos!